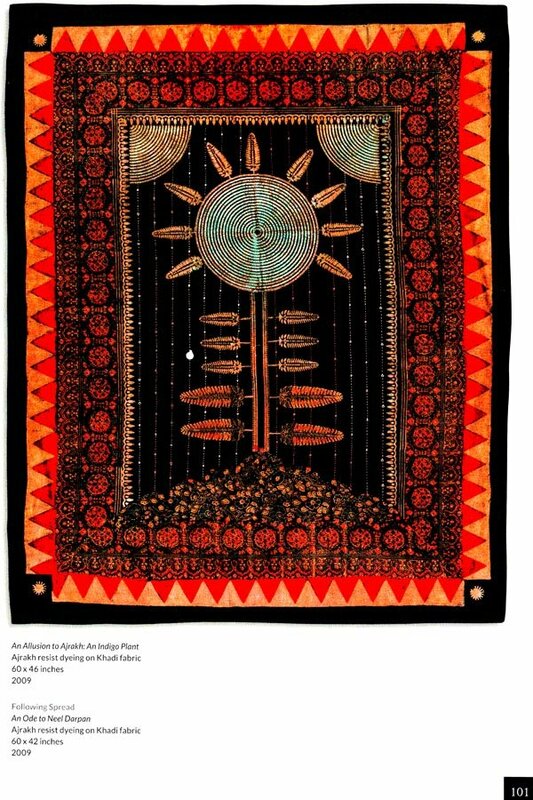 Indira Gandhi National Centre for the Arts, New Delhi is delighted to present this exhibition entitled Revisiting Gandhi: The Art of Shelly Jyoti (2009-18) Symbols of Nation Building and Identity through Textile Art". 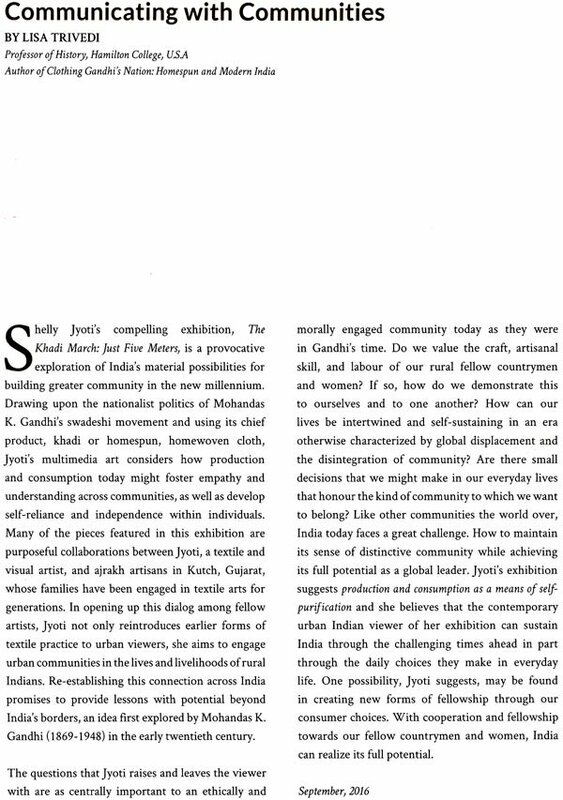 A retrospective of the artist, this show reflects Shelly's long period of intense introspection on Gandhian ideals, thus creating an important juncture in her creative journey. The exhibition significantly also marks the 150th birth anniversary of Mahatma Gandhi, as IGNCA begins its celebration of Gandhi Parv, with a diverse range of programmes on the life and teachings of Bapu in the year 2018-19. IGNCA takes great pride to initiate this tribute with a show based on four important concepts of Swaraj, Khadi, Salt and Indigo. 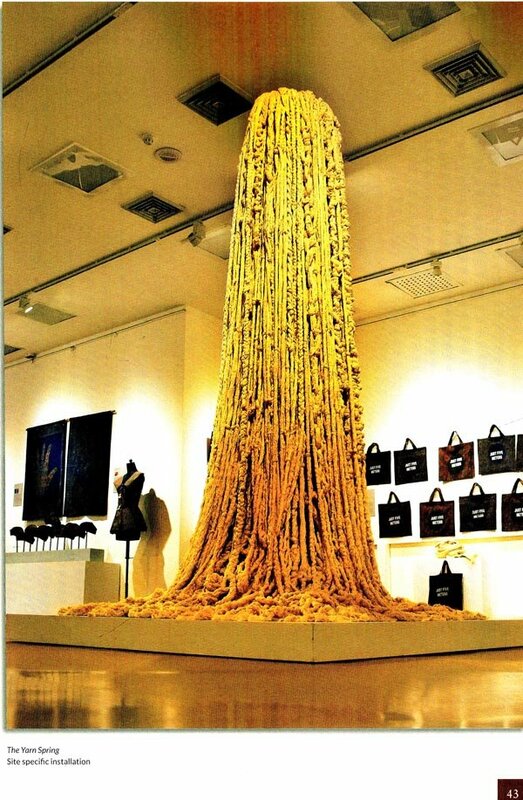 These concepts find their manifestation in her textile productions. 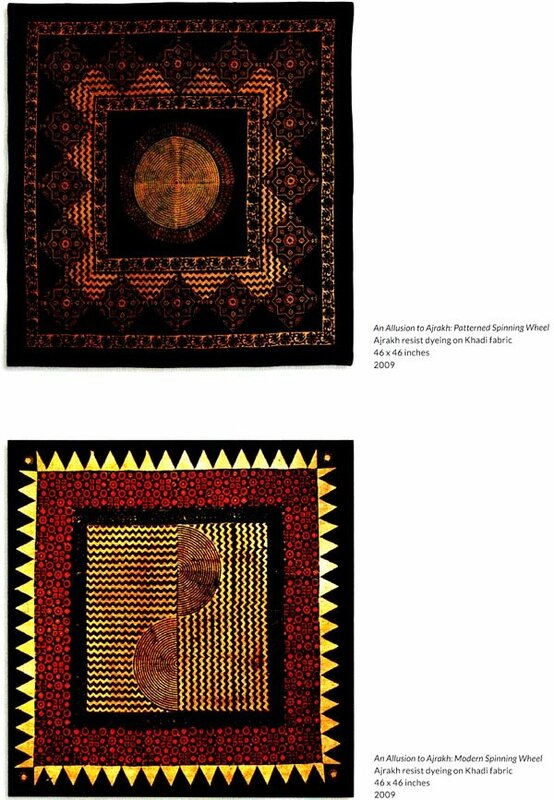 The artworks draw on the enduring intellectual, historical, spiritual and artistic ideas and traditions, which though rooted in the past, still flourish, ferment and 'ear fruit today. 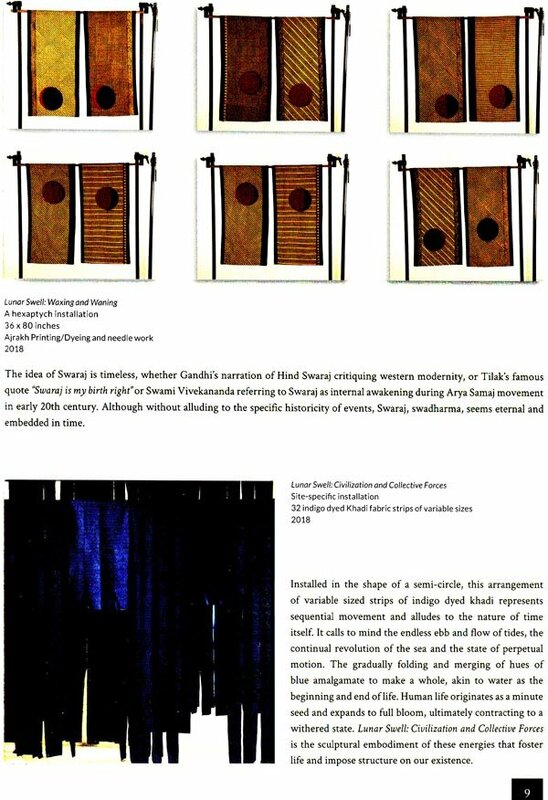 would like to take this opportunity to congratulate Shelly Jyoti as the artist, curator and writer of this project, her dedication towards her art practice, and also in her continuous effort to bring awareness on building self-sufficient peaceful societies, truly making this show one to reckon with. am thankful to the Executive Committee of IGNCA and all its Trustees for their constant support. I would also like to acknowledge the active involvement of Kaladarsana Division in this venture.